In past 2010 & 2012, we exhibited Electronica Munich Fair in Germany and gained full success. 2014 we will be there again. Our colleagues Ms Olivia and Sara will attend. Welcome to visit our Booth No. : A1-556-5 from 11-14 November, 2014. If you want to buy radial capacitors, trimming potentiometer, diode & bridge, transistors from factory directly, pls contact our sales and talk with them face to face. 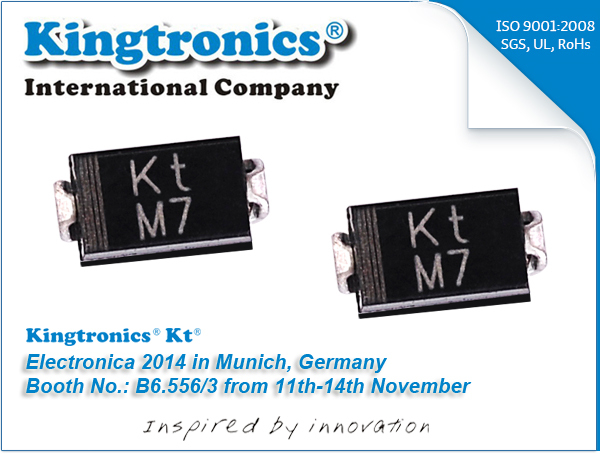 We produce and sell high quality electronic components, and offer quality assurance to all our customers. Thank you very much !